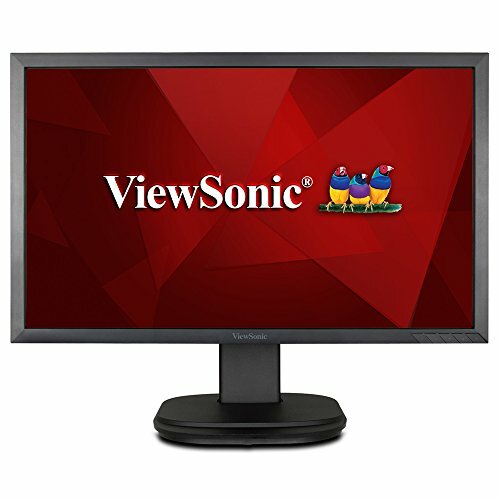 The ViewSonic VG2239m-LED widescreen monitor provides native full HD 1920x1080 resolution, and 20,000,000:1 MEGA dynamic contrast ratio for stunning display quality. The VG2239m-LED also offers the latest in DisplayPort technology for easy data transfer of high-definition video and audio. Other connectivity options include DVI and VGA inputs, a two-port USB hub for peripheral support, and integrated speakers to complete the multimedia package. Additional features include a matte finish slim bezel design with full ergonomic functions, including 90-degree pivot, height adjust, swivel, and tilt for maximum screen viewing. You can put it on your desk or mount on your wall or on any VESA-compliant monitor stand.